Talk about an incredible week of comics. I don't even know where to begin. The first thing I will tell you is to go to ComiXology and take advantage of their Fatale sale. You can get back issues for as low as 99 cents and collections for $4.99. Time for me to get caught up with this stellar series. On top of the second Cow Boy book has a release date of September! If you are curious why that is important read this. 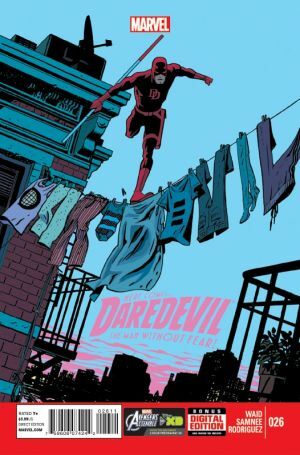 If you have been reading up on my blog I don't hide the fact that I love Daredevil, Sixth Gun, and Mind MGMT. All three dropped new issues this week and all were absolutely incredible. It was very difficult to rank one as my pick of the week but here goes nothing. Mind MGMT #11 - Things are about to get serious as Henry Lyme and his crew bring their attack to Shangri-La. Meru is really the star of this issue and it served the series well. She is able to convince Duncan to join the mission and really grows from a journalist trying to write another book to a character with a past that may come to haunt Lyme and company. 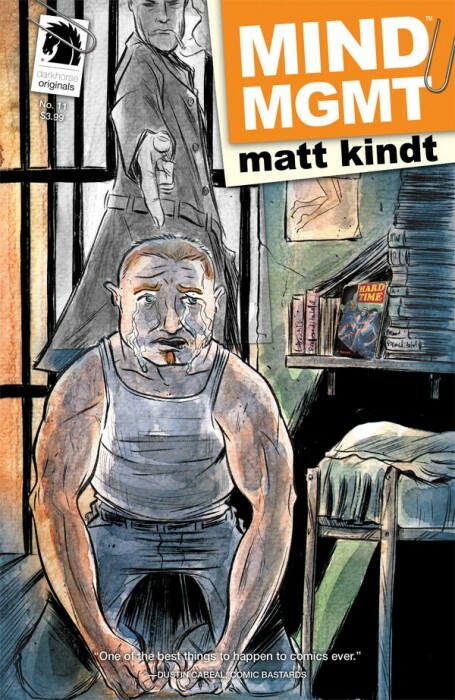 I have a few theories as to who she really is, but Matt Kindt has a way to steer you, almost at his will, in whatever direction he chooses. With impending doom and the maturity of Meru, this issue is amazing. My favorite moment in the book was the reveal that Drake Sinclair, from the Sixth Gun, was actually a rouge Mind MGMT agent! It seems that Kindt and Cullen Bunn have crossed paths again (go buy The Tooth). Mind blown. Sixth Gun #31 - We were left with Becky Moncrief trapped in a spirit world, her spirit guide shot and killed, being pursued by enemies. In this issue, when all hope appeared to be lost, she is saved by a mysterious individual who is wielding the second gun in axe format. If you have been reading the series you will recall that the six have taken various shapes over time. In the issues to come, it appears, we are going to learn a lot about the origin of the six guns. I think my favorite moment in this issue was when Drake, despite being in charge of Becky's safety, left her with the tribe to avoid the temptation to gain control over the sixth gun and be one step close to, according to this week's Mind MGMT, destroy the world. Mind blown again. Daredevil #26 - We finally learn who has been hatching all of these plots to mess with Matt Murdock. He was left beaten within an inch of life in the last issue and given how much he has put up with, it is not surprising that he finally snaps. Watching Murdock unhinge at the end of this issue put this issue over the top. The raw emotion pouring out of him as eluded his assassin to confront who had been behind everything is palpable is one of the reasons why Mark Waid is writing on a whole other level. Mind blown yet again. The Bounce #1 - At the urging of a staff pick from my LCS I picked up this title and was happy to have done so. The Bounce features a slacker hero who exists in a world that is just now experiencing the evolution of costumed villains and heros. While not an entirely original idea, it feels fresh given the writing and the main character. His special ability is that he can roll up into a ball and bounce around. Great writing, strong art to support it, and a new world to explore. Mind not blown, but intrigued.